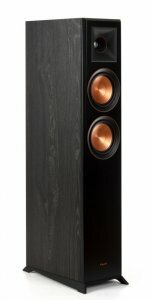 Klipsch RP-5000F FLOORSTANDING SPEAKER(ebony)(each) Klipsch RP-5000F FLOORSTANDING SPEAKER(ebony)(each) - - It's Free! : New Audio & Video, New Electronics at Lowest Prices! Attaches magnetically for an elegant transition from powerful showstopper to discrete erformance piece.